EJ Laure's Mom Has A Message to UST fans and supporters: Read it Here! 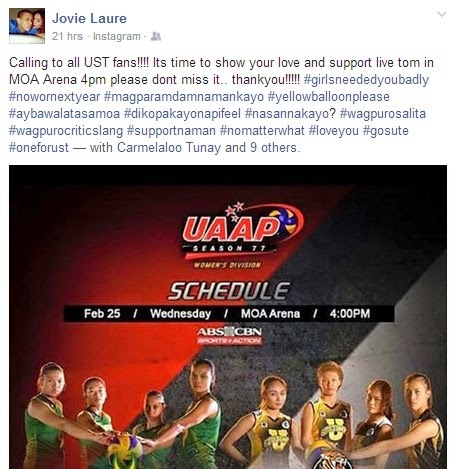 FB Scoop: EJ Laure's mom Jovie Laure has a message to UST Tigresses fans and supporters. She's urging them to go to the MOA Arena to watch the UST-FEU battle for the 4th spot in the UAAP Season 77 Women's Volleyball Stepladder Final 4.